The toolkit will allow developer to upload certain files from their apps to translate the text to another language. Of course, this will be about as good as Google's translations are already (read: okay, but not great). 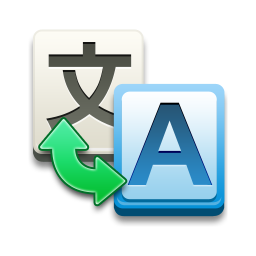 However, developers can then share their translations with local translators who can fine tune the results in the Translator Toolkit's WYSIWYG editor. It's by no means the demolition of the language barrier that humanity has been searching for, but it's a handy step in the right direction. Also, it would be unsurprising if Google was using this service to funnel data into the Translate algorithm in a self-sustaining katamari of language data. Google has discussed before how it frequently creates services to mine data to create other services. For example, Google Voice's initial incarnation, a voicemail service that transcribed your voicemails, eventually led to the voice transcription that is now built in to all Android devices. This seems like just a natural move. Of course, this is just speculation. What's for certain is that developers now have a great set of tools to make localization much easier. Now, which of you is going to get started on the "Crazy things Google Translated apps say" tumblr first?